This Texas Summer Entertaining Gift Basket post was sponsored by H-E-B, but as always all opinions remain my own. I haven’t shared this yet, but late last summer my father-in-law passed away suddenly at the age of 66. Since that time my mother-in-law has been living on their land in rural Missouri but has recently decided to sell her house and make the move to Texas. The good news is her property already sold without even being officially on the market. So in order to help her make the move, we’ll be heading up there very soon to help get her house cleaned and boxes packed before her closing date. There’s going to be a lot to do but we planned this trip to coincide with Mother’s Day and it’s actually pretty exciting because this is only the second Mother’s Day we’ve spent with her since getting married in 2001. With a big move looming, I didn’t want to get her anything that was going to be too big or impractical. I wanted the things to be practical and useful in her starting a new life in Texas. What? You don’t take pics outside of your grocery store of all the cool stuff?! Because my mother-in-law will be moving into a new house soon, I decided to create a Texas summer entertaining gift basket to surprise her with on Mother’s Day. And I couldn’t shop anywhere other than my favorite grocery store, H-E-B. I fell in love with shopping there as soon as I moved to Austin and I know she will too. 1. Galvanized drink tub. Y’all know from my previous gift basket posts that I like to include reusable, multipurpose containers as the “basket”. I usually don’t buy wrapping paper or gift bags, but instead find something that fits in with the theme of the gift and go from there. 2. Chips and dip serving dish. What BBQ in Texas doesn’t include some chips in dip? Or better yet, chips and queso? This serving dish is so bright, colorful and durable. 3. Tortilla warmer. While I don’t claim to make my tortillas from scratch, lightly browning them in a cast iron skillet before serving is a definite must. But keeping them warm can be a challenge, so this tortilla warmer is super handy when entertaining because you can ensure everyone’s tortillas stay warm. 4. Deep dish enchilada baking pan. One of my mother-in-law’s favorite recipes I make is Easy Cheesy Chicken Enchiladas. With the help of this dish she can wow her new friends by recreating my recipe. 5. Ice pop molds and cookie cutters. With their Mimi nearby for the first time in their lives, I foresee our girls spending a lot of time there this summer. These ice pop molds are a great way to keep them busy and cool them off. And all Texans need a Texas shaped cookie cutter! 6. Sunscreen. Another must have for when the girls are visiting, or even when they’re not. I love the H-E-B Solutions spray sunscreen for the entire family because it’s gentle, effective, and affordable. 7. Bug spray and a citronella candle. They say everything’s bigger in Texas. Well, let me tell you that the mosquitos are too. Protect yourself from those annoying bites by covering yourself in sunscreen or lighting a candle when you’re outside. 8. Wine and wine glasses. We have it all here in Texas, including a ton of wineries and breweries. For those wine drinking nights, I picked up a bottle of Llano Estacado Cabernet Sauvignon and some stemless wine glasses. This wine is from a vineyard just an hour northwest of Austin. And the stemless wine glasses because of their versatility and aesthetics. 9. Reusable shopping bags. You’re probably thinking, what the what? But since 2013, Austin has banned the use of plastic bags in stores. This means you either have to pay to buy a paper bag or bring your own reusable ones. If you forget or don’t want to pay just out of principle, you won’t be alone walking through the parking lot with your arms loaded down with various grocery items that you dump haphazardly into your trunk. I always keep a few reusable bags in my car just in case. And with the cute designs at H-E-B, who wouldn’t want to carry these instead of plastic bags? 10. Flowers. No Mother’s Day gift would be complete without flowers. In the spirit of the Texas theme, I decided to go with some locally grown wildflowers to add to her basket. The colors are bright and vivid and from personal experience I can tell you that these last at least a week. 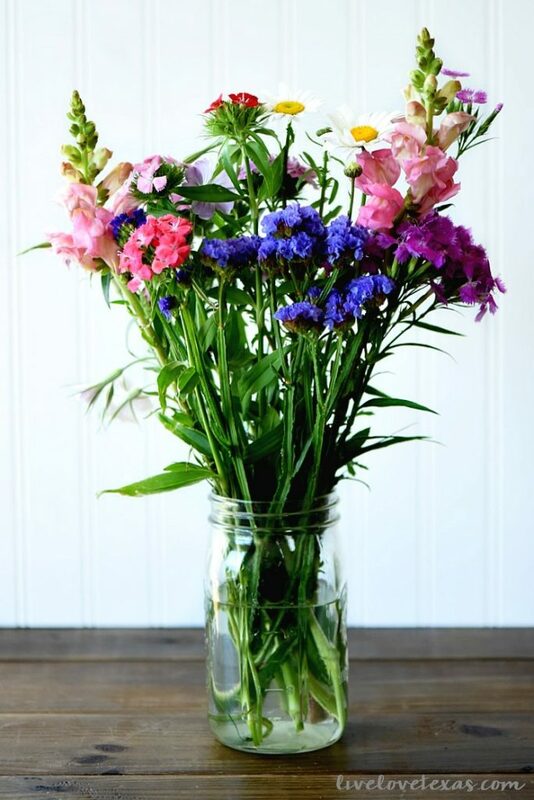 You can even plop them in a couple of quart sized mason jars instead of vase for a more Texas feel. 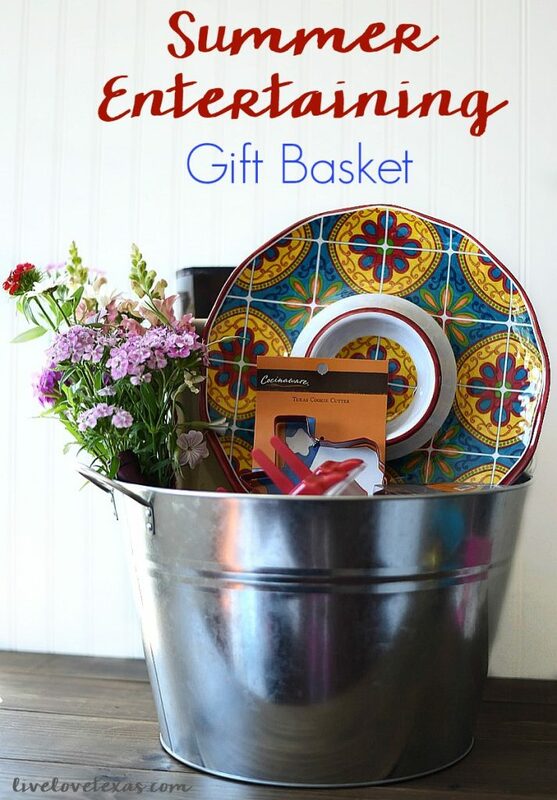 A seemingly hodgepodge collection of items came together beautifully for this summer entertaining gift basket for mom. Or in my case, mother-in-law. 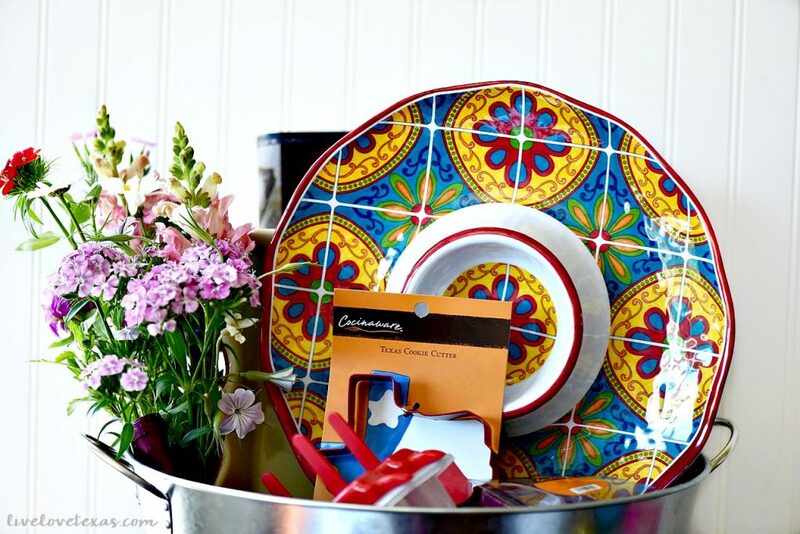 What do you think – did I miss anything in my Texas Summer Entertaining Gift Basket? Win an H-E-B gift card! H-E-B has graciously offered to award (2) lucky Live Love Texas readers with a $50 gift card. 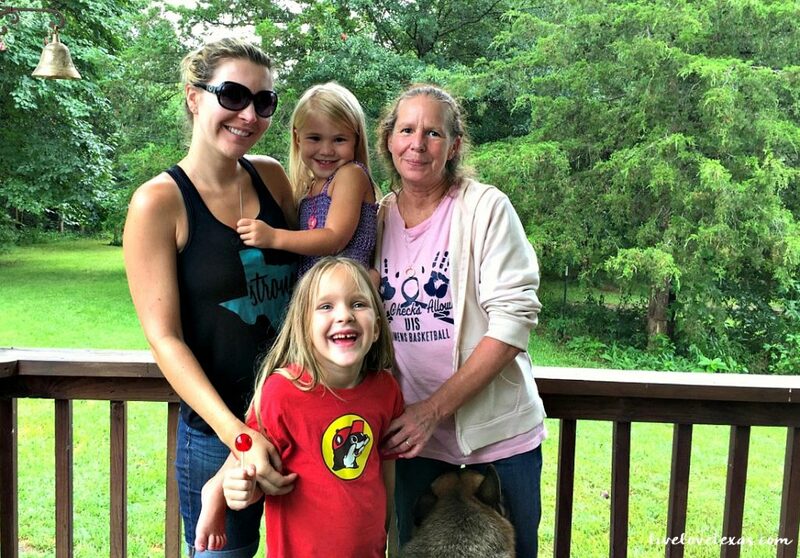 Entering is easy, just respond to my tweet, Facebook post, or Instagram photo sharing your own Mother’s Day MOMentous moment (such as meals) for mom, tagging @HEB and using the hashtag #HEBMoms.